About Educational Medical Services & Safety Inc.
With a staff of 15 Instructors and First Aid Service providers EMS & Safety Inc. was by Jorge Rossi in 2007. He believes in the power of education. Jorge has been protecting and saving lives for the past 18 years as a Firefighter / Medic and worked his way to his current position of Battalion Chief while working for a local fire department. He holds a Masters of Science in Business Leadership from Nova Southeastern University. He also remains an American Heart Association Instructor for BLS, ACLS and PALS for the past 15 years. Jorge saw the need to branch out to the public on a personal level to promote overall safety and awareness. He found way too often the general public was unaware how to perform basic CPR and/or provide basic first aid. As a result, EMS & Safety Inc. was born. Jorge and his instructors bring to his company a proven record of educational leadership and play key roles in organizing public education for the Palm Beach, Broward and Dade County residents, company’s as well as health care professionals. They all understand the importance of CPR, Advanced Cardiac Life Support (ACLS), First Aid and safety programs. 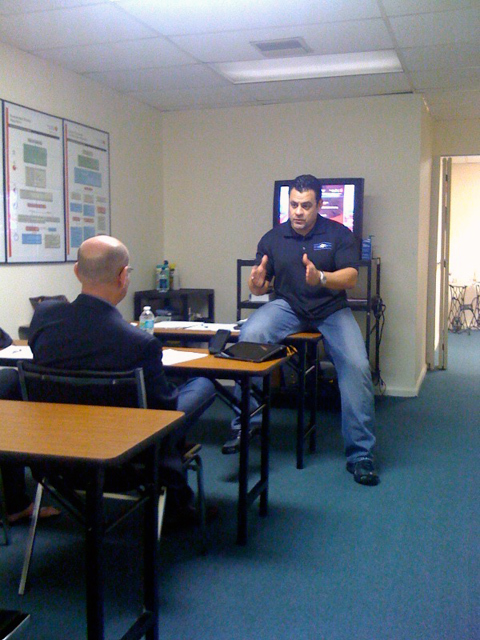 Jorge and his instructors of qualified Educators, Paramedics and Nurses believe in the commitment to saving lives. Their goal is to continue protecting and saving lives through education and medical services.